It is April 1975, and Saigon is in chaos. At his villa, a general of the South Vietnamese army is drinking whiskey and, with the help of his trusted captain, drawing up a list of those who will be given passage aboard the last flights out of the country. The general and his compatriots start a new life in Los Angeles, unaware that one among their number, the captain, is secretly observing and reporting on the group to a higher-up in the Viet Cong. The Sympathizer is the story of this captain: a man brought up by an absent French father and a poor Vietnamese mother, a man who went to university in America, but returned to Vietnam to fight for the Communist cause. 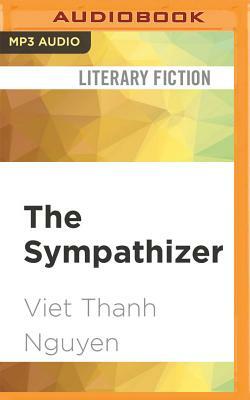 A gripping spy novel, an astute exploration of extreme politics, and a moving love story, The Sympathizer explores a life between two worlds and examines the legacy of the Vietnam War in literature, film, and the wars we fight today.